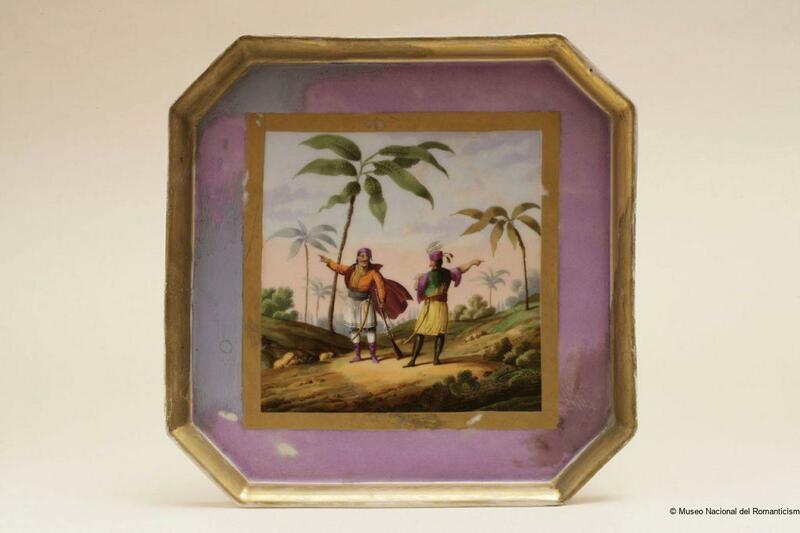 Following the Turkish style, this tray is depicted with an Orientalist landscape that might be related to the Greek war of independence. Thus, the man in the left is dressed in the Greek skirt called fustanela, wearied to fight against the Ottoman Empire. The different clothes of the man turning his back in the right side may be identified with those of a Turkish warrior or Janizary.